What do consumers really think about the future of banking? Consumer habits are changing. In 2017, almost everyone with a device is able to connect to the internet twenty-four hours a day, and the convenience of these new technologies is now considered a necessity rather than a luxury. From the way we shop to the way we dine, and message and delegate at work, the proliferation of new technologies and communication channels means that we have more choice than ever in how we interact with brands, stores, and one another. Our methods of payment and banking are integral to these changing consumer habits, and are far from immune to the influence of the Fourth Industrial Revolution. The UK has always been a major global player in the fintech sector: the industry contributed £6.6bn to the national economy last year. To stay ahead of the competition – particularly with the uncertainty of Brexit looming – banks need to adapt and embrace a digital-first approach, just like their customers. So what do consumers really think about the future of banking? In August 2017, LivePerson commissioned an online survey of more than 1000 US consumers aged 18 and older to assess their habits and preferences, providing actionable insight for banks of every size. Recently, we’ve seen a huge uptake in digital banking channels (apps, emails, self-service ATMs, and the like). Though still a common sight on global high streets, the physical branch is losing its monopoly, with major banks closing branches at a rate of ten per week. In fact, more than a quarter (27.8 per cent) of Gen Z and Millennial respondents indicated that they do not think banks will have physical branches in 10 years, and 43 per cent of all respondents said they would consider using a bank that only existed digitally. In the past, customers had to wait in line for basic services like deposits, withdrawals, and opening new accounts. Everything about these transactions was physical and analogue – paper deposit slips, cheque books, cash, and forms to be completed in blue or black ink and block capitals. Now however, the average consumer prefers to bank digitally. Banking services (current account balances, making payments, and depositing cheques) are migrating to online or in-app – and this approach means customers can easily access accounts at home or on-the-go, rather than needing to visit a bricks-and-mortar branch. As such, banking apps remain fan favourites across smartphone users of all ages. In fact, LivePerson’s research found that consumers’ use of bank apps outpaced their use of other payment apps, food delivery apps, and ride-hailing apps. However, there is still a surprising variability in the future-facing strategies of major banks in the digital landscape. This year, RBS launched the ground-breaking RBS Assist system, where chatbots were integrated into customer interactions to streamline operations and reduce time spent on hold or in-branch. In this digital era, it isn’t surprising that 56 per cent of Millennials indicated that there are some processes they’d prefer to handle without having to speak with a human. 13.6 per cent even said that they would prefer to discuss their finances with a bot than with a human. Yet at the same time, we’ve recently seen Lloyd’s and Nationwide invest in the bricks-and-mortar approach, launching futuristic flagship branches in Manchester, complete with glass-encased consultancy booths, biometric technologies, cactus-filled Scandi shelves and even in-store coffee shops. This move might seem at odds with the evolution of digital, but it represents an affirmation of faith in re-imagining and digitally enabling the physical branch. Integrating new technologies with human agents is the overwhelming industry trend; be that in the store itself or via digital messaging solutions. What remains to be seen is whether both of these strategies can succeed, or whether the in-person experience in any form is destined to become a relic of the past. Millennial and Gen Z habits will dictate the future of the industry. As with generations before them, their habits will become the mainstream – and the successful banks will be those which adapt and keep pace. From our research, we can see real generational differences; Millennials are far keener to adopt a solely digital approach to banking, with 12 per cent of Millennials saying they’d actually prefer to use a bank that only existed digitally, and didn’t have any branch locations. Convenience is cited as the primary driver of these digital preferences. 71.5 per cent of those who prefer banking digitally attribute this preference to convenience over simplicity or trust. Gone are the days of waiting for a letter of approval, or having to travel to a branch at all. For the busy and demanding modern consumer, this is vital. Nearly half of Gen Z respondents (43.2 per cent) reported that they believe big technology companies such as Amazon, Facebook, and Google could replace banks in the future. If given the choice, 28.6 per cent of Millennials surveyed would choose Amazon or Google over their current bank. Almost a fifth (18 per cent) of younger consumers and 12.3 per cent of all consumers would select Amazon as their bank of choice over their current bank. They cited the reason for this as trust in Amazon (51.5 per cent) and Amazon’s perceived superior technology and convenience (43.6 per cent). Those who choose Google as their hypothetical bank indicated better technology and convenience as their top reason for switching (73 per cent). When dealing with something as significant as personal finance, challenges are inevitable. We’ve seen several high-profile breaches and attacks over the past few years. 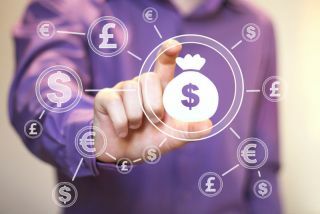 Customers need to be reassured that financial service providers are prepared to counter increasingly sophisticated financial malware attacks, protecting both their savings and their personal details. For Millennial “digital natives”, trusting new technology poses less of a problem. However, for respondents aged 55 or older, going into the physical branch is still the method of choice: 57 per cent stated they would rather go into the branch, and 61.6 per cent of those stated it was because they trust the in-store experience more. If banks can build trust and ensure that their data protection systems are best in class, consumers will recognise that the benefits of digital far outweigh the risks. Although Millennials are leading the way in digital-first banking, older consumers are showing an increasing openness to a digital future. In the short-term, banks must do all they can to retain the business of those who have known an everyday routine without technology at their fingertips. By introducing new technologies with an emphasis upon consumer benefits, transparency, and ease of use, banks can update traditional methods of engagement while ensuring new customers’ digital needs are catered for.